This quote is so true! If we simply sit back and complain about the status of healthcare and health insurance rates in Iowa, nothing will change. We need to reshape our healthcare world. And, to begin to shape it, we need an open and honest dialog about the conditions that currently exist, determine what is working and where improvement is needed. To encourage this dialog, I have written a ‘Voices for Value’ white paper, based on employers’ responses to survey questions regarding their satisfaction with their regional hospitals and doctors. You may download your FREE copy of ‘Voices for Value‘ here. Since issuing our press release last week on Iowa employer perceptions of the Iowa healthcare provider community, the interest in this white paper has been overwhelming! 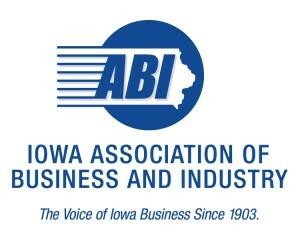 I wish to thank the Iowa Association of Business and Industry (ABI) for sponsoring ‘Voices for Value.’ After learning about this paper, ABI has been extremely supportive in promoting the contents of our survey. It is a great honor for me to have ABI involved as the sole sponsor. The findings from this ground-breaking survey are quite clear: Iowa employers expect more from their healthcare providers than what they are currently receiving in most all of the survey’s 11 performance indicators. In addition to the above indicators, employers were asked to rate the extent of ‘Trust’ they have for the providers serving their workforce. Having trust in those who provide care is paramount to having a highly-functional healthcare system. I firmly believe that greater trust will result when improvements are made within each of the performance areas. Until this survey was conducted in mid-2013, the voice of Iowa employers has been diffused, diluted and, mostly silent. For care to be appropriate, efficient and cost effective, a meaningful revolution must occur in Iowa (and elsewhere) to drive innovation with carefully-placed incentives (and disincentives) that will reward behaviors we desire – from both the care delivery and consumption sides. But it won’t be easy. As found in most social change, this new revolution will be uncomfortable, but very necessary – if not critical. Healthcare providers must heed the voices that have emerged from ‘Voices for Value,’ and take action to deliver high-value care to their customers, the very people they serve within their communities. This revolution may also be uncomfortable for employers, who have historically relinquished the oversight of healthcare delivery to third parties. 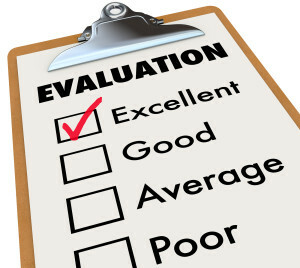 Now, employers must take action by providing constructive, ongoing feedback to the providers serving their communities. Somehow healthcare has lost this critical ‘voice’ to serve as a crucial guide on how care should be delivered. The new healthcare revolution in Iowa is buoyed by ‘Voices for Value.’ However, Voices merely serves as the first step in a long journey to high-value care that we all deserve. The ‘value’ of care has been defined as health outcomes achieved per dollar spent* – and we currently spend an enormous amount of money with seemingly few controls to reduce this growing expenditure. Yet, as witnessed in our survey results, Iowa employers have spoken loud and clear that care is mediocre, at best. A revolution is necessary to reshape our healthcare world. Based on how Iowa employers perceive the care provided within their communities, ‘Voices for Value’ establishes the basic framework of issues that require new transformations in our local healthcare system. ‘Voices for Value’ is not an exhaustive accounting of the myriad of issues inherent in healthcare, but rather, it serves as a baseline from which new initiatives can be thoughtfully developed and pursued by all interested stakeholders within Iowa to make the changes that we all desire to have. Continue to follow our future blogs on how this revolution is gaining traction and, most importantly, how YOUR voice can be heard! Today, we issued our press release on the Iowa Employer Perceptions of the Iowa Healthcare Provider Community. The results come from our 15th annual Iowa Employer Benefits Study©. This section of the study reveals compelling information that is both fascinating and relevant to Iowa employers – and to the entire state of Iowa. This type of study is a first of its kind in Iowa – perhaps in the country! For the last 30 years, I have been keenly involved with employer-sponsored health insurance in Iowa. During most of that time, I assisted employers with evaluating and obtaining health coverage on behalf of their employees. As employers know, the complexities of health insurance requires a great deal of their time and effort each year to assure the ‘appropriate’ health coverage offering to their employees. This is an often-overlooked cost that is not factored into the health premiums paid by employers. Nonetheless, it is a necessary process that requires frequent employer attention. Year-after-year, our annual studies indicate that Iowa employers continue to receive premium increases that exceed the inflation rate. 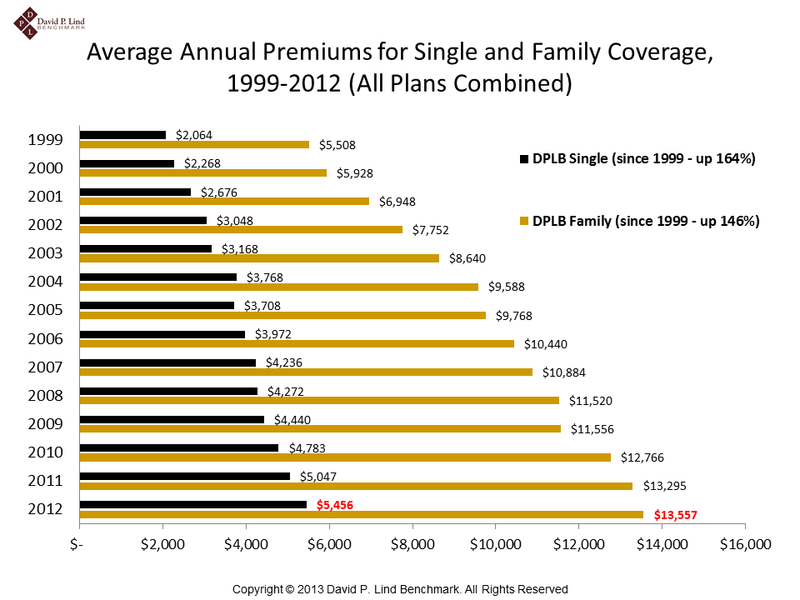 In fact, since 1999, the annual Iowa single premium increased by 171 percent while the family premium increased by 158%. 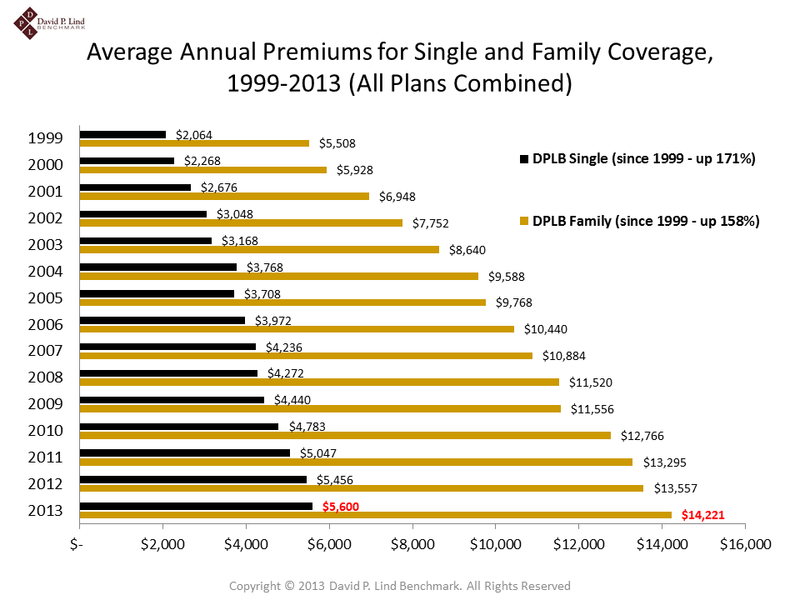 Despite these meteoric increases, Iowa employers continue to pay more than their ‘fair share’ of the premium costs – about 80 percent of the total single premium and about two-thirds of the family premium. So why ask Iowa employers to assess hospitals and physicians within their communities? It’s quite simple. Employers play an enormous and critical role in funding the private insurance system. Unfortunately, when assessing the value received from the healthcare providers, they have been a relatively silent and diluted voice on how this investment is being used. A silent voice? Yes, but no longer. 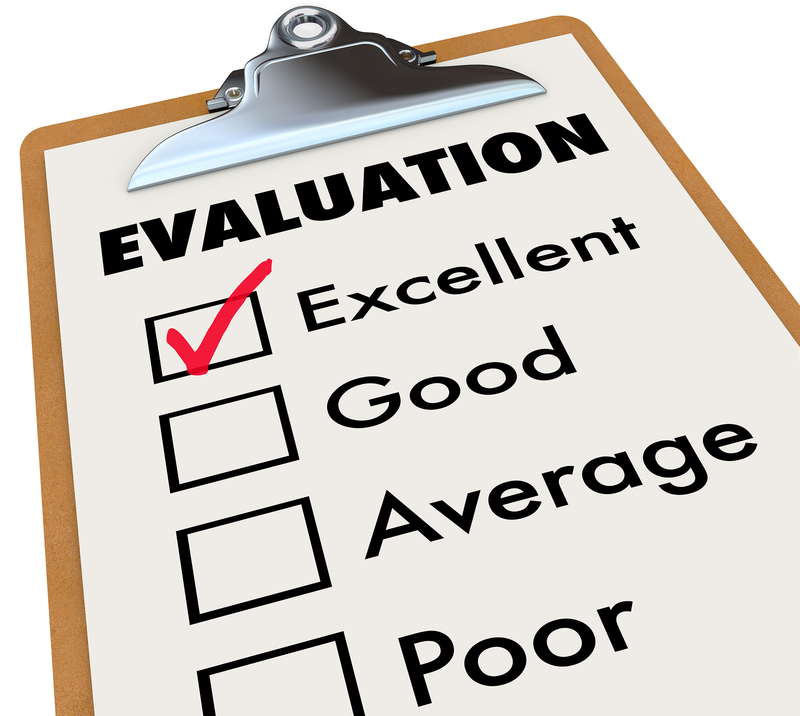 Iowa employers were asked on a 10-point scale, where 1 is “failing” and 10 is “excellent,” to assess 11 key performance measures. Employers reported that both hospitals and physicians within their communities are either ‘average’ or ‘below average’ on most measurements. 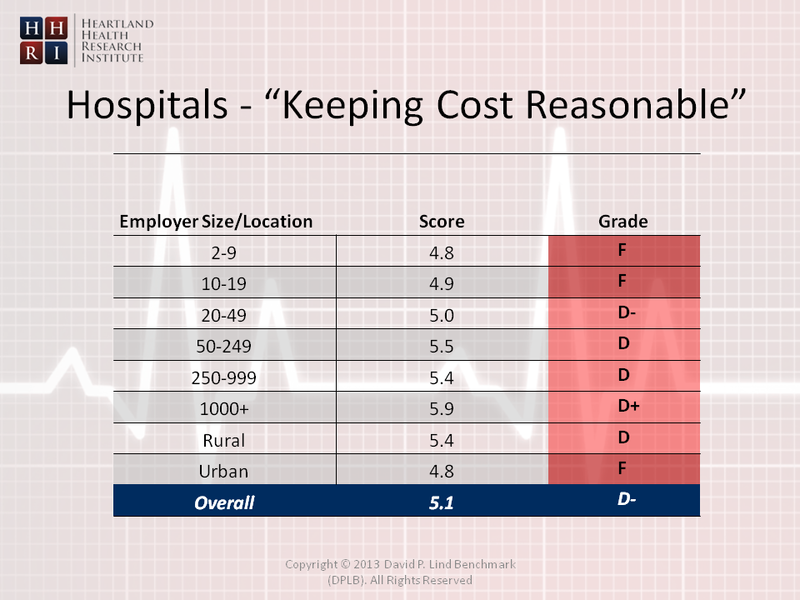 However, two measurements that are most worrisome to employers, resulting in dismally low grades, are “Keeping Cost Reasonable” and “Cost Transparency.” Iowa employers feel that hospitals are a grade away from failing on both measurements, as they received grades of D-minus and D-plus respectively. Physicians were graded slightly better at D and C-minus, respectively. Based on the escalating premiums employers continue to pay each year, it is not surprising that employers are in a foul mood on cost issues. 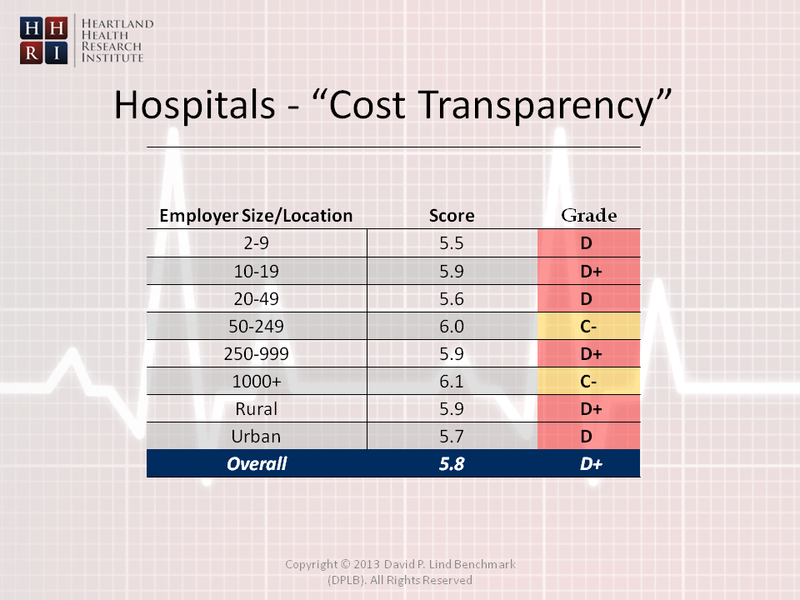 One last assessment measurement is the “Level of Trust” employers have with hospitals and physicians within their communities. Specifically in healthcare, trust is perhaps the most important measurement used to gauge the effectiveness of the services provided to the population. In this measurement, hospitals received a tepid B-minus from employers, while physicians received a mid-B. 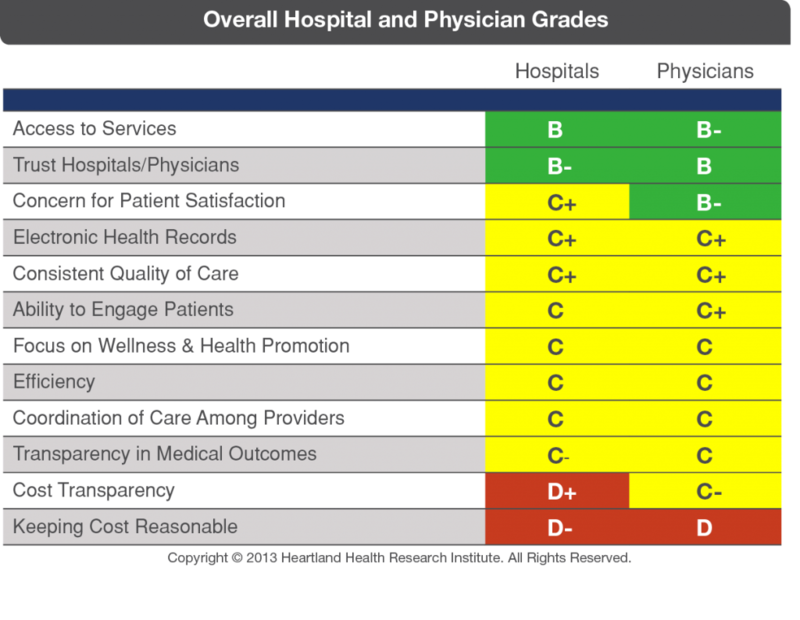 The other grades given to hospitals and physicians are considered to be underperforming, particularly relating to measurements on patient care and the perceived outcomes received from patient care. More about these grades in later blogs. One final comment regarding how employers graded their health providers. When asked to evaluate health providers, employer assessments come from ‘perceived’ attitudes about the various measurements being asked within the survey. Clearly, we need to know a great deal more on how our healthcare providers can meet the expectations of a key healthcare payer – the employer. This particular survey provides a solid baseline on employer perceptions. Based on these results, future healthcare provider community assessments will be required. 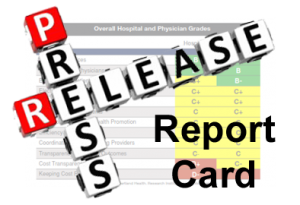 I invite your comments regarding the grades employers assigned to both hospitals and physicians. To learn more about this and other survey results, we invite you to subscribe to our blog. Deloitte Consulting develops thoughtful studies on nationwide employer practices, specifically relating to employee benefits and healthcare issues. Their 2013 Survey of Employers study is no exception. Results from this particular study provide a great framework to the findings we will be releasing in April. Deloitte’s topic within this report? How employers perceive the healthcare system. Their findings are both interesting and concerning for all of us. I’m not surprised, nor should you be. 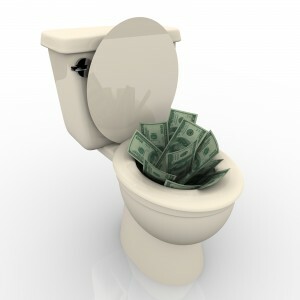 Employers view the healthcare system as wasteful and expensive. Despite almost four years into implementation, employers still do not understand the features of the Affordable Care Act (ACA). Only 22 percent believe the ACA will reduce costs by 2019, and just 19 percent think the law will improve quality-of-care during that time. The big takeaway is that employers are frustrated over a perceived lack of ‘value’ in the price they pay for health coverage. The healthcare system is underperforming in numerous ways. Stay tuned as this topic will only gain greater traction over the next months and years to come. Employers and Health Data – Who is the Trusted Resource? Last week’s blog discussed a new module of questions we have included within our 2013 Iowa Employer Benefits Study©. 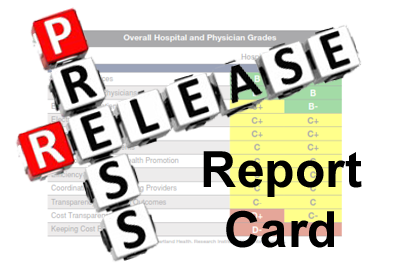 Within this new module, employers are being asked to rate hospitals and physicians within their communities. Probing further, we included another battery of questions to gauge how employers feel about another health-related issue – identifying a reliable source to supply specific health care information to employers (and to their employees). Frankly, these questions boil down to just one word – Trust. 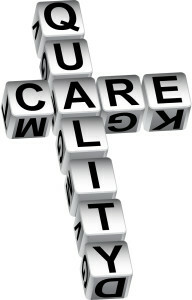 Which resource does the Iowa employer trust when accessing and evaluating health care information for their employees? Would it be insurance companies? Maybe the medical provider community is most trusted, such as hospitals and/or physicians. The federal government is yet another possibility (I’m a bit suspicious, however). Perhaps, none of the above mentioned stakeholders, but instead, a trusted third party that has yet to emerge in this new evolving marketplace. Logic tells me that employers would like to use a combination of the above resources – not just one source. Much of this, I suspect, will also depend on the type of medical data that is desired by employers. A large portion of the questions found in this particular module come from the Iowa Hospital Association (IHA). Transparency of health costs and effective health outcomes information is becoming a trendy discussion these days, with special thanks to the Affordable Care Act (ACA). The IHA has a great deal of interest in understanding how Iowa employers perceive these critical issues, and in learning more on how such information can be conveyed in a meaningful conduit of media (electronic format being the most likely culprit). I applaud the IHA for their desire to find new ways to communicate and educate a major stakeholder (the employer) regarding local health care information. The healthcare snow globe in which we live continues to provide new opportunities for those willing to take the plunge to make our current health care ‘system’ a better place for all of us. This particular survey module will provide us with additional insight on who should be providing this important information to Iowa employers, and what this critical information should convey. The results of this survey will be published early this Fall by our new, sister organization, Heartland Health Research Institute. 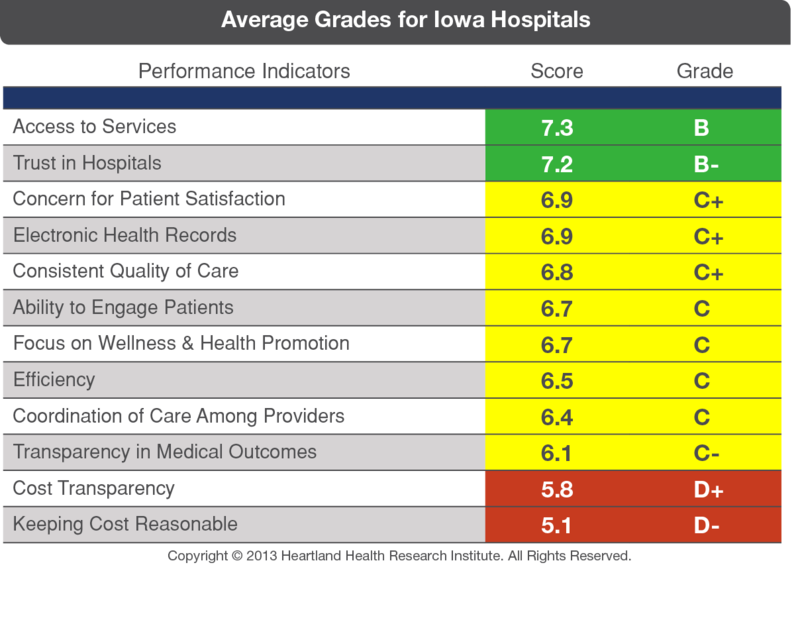 In our 2013 survey, we are asking Iowa employers to rate hospitals and physicians within their communities on 11 important performance measurements. 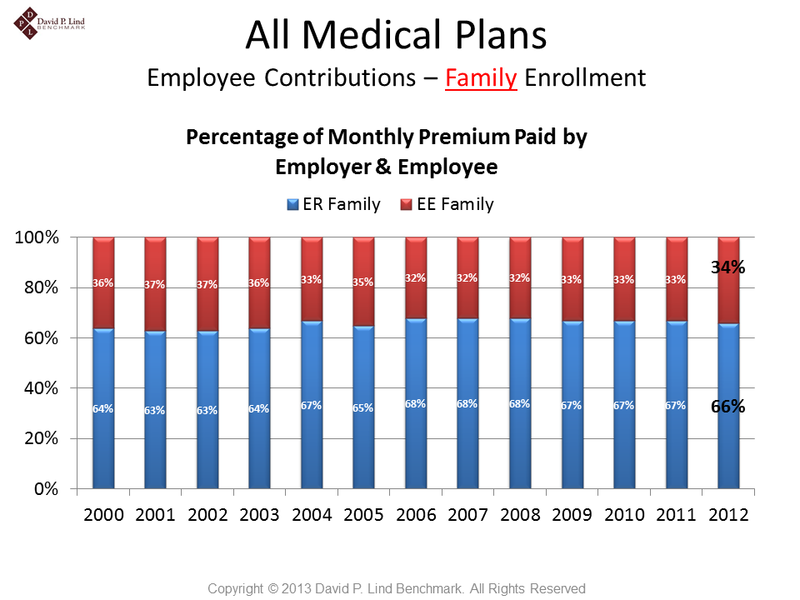 Without a doubt, this particular module of our 2013 Iowa Employer Benefits Study© will be quite fascinating. To the best of my knowledge, Iowa employers have never been asked to rate health care providers in their communities – until now. 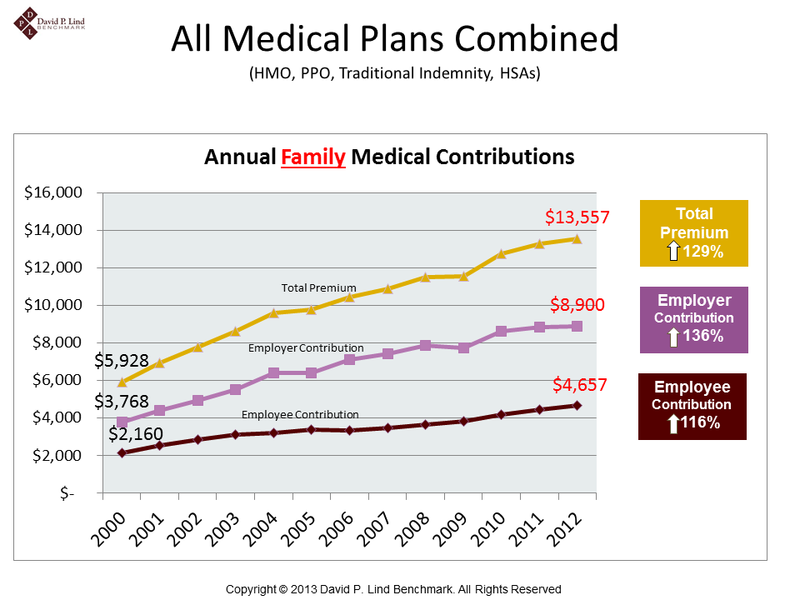 Employers contribute a considerable portion of the medical insurance premium for employees and their families. From our 2012 Iowa Employer Benefits Study©, the average employer contributes about 80 percent of the employee-only premium, or about $4,400 annually. The employee contributes the other 20 percent, or $1,065 annually. 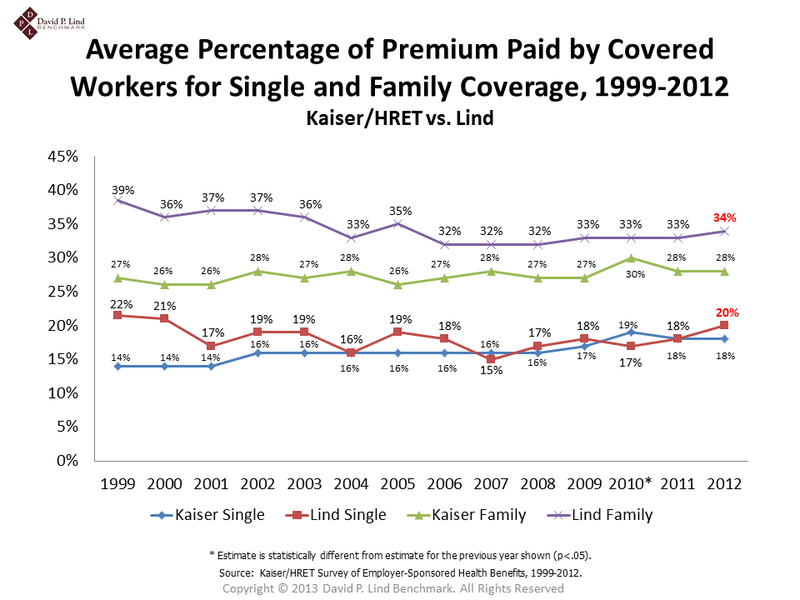 For employees with family health insurance coverage, the employer pays about two-thirds of the annual family premium ($8,900), while the employee pays the other one-third ($4,657). Needless to say, the average Iowa employer is very generous when picking up the health care tab for their employees. Despite annual premium increases, Iowa employers have CONSISTENTLY absorbed escalating costs since 1999 (the first year our Study began). Employers make this ‘investment’ to maintain and improve the health and well-being of their workforce. 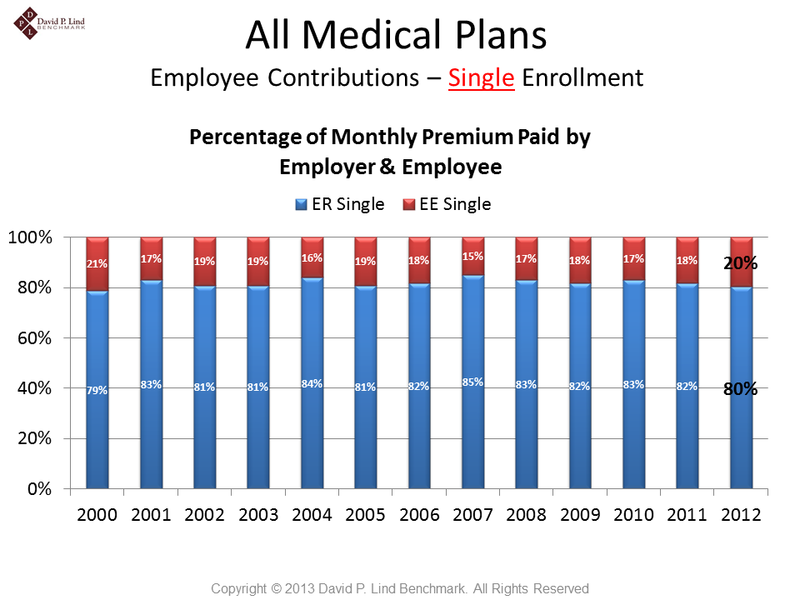 The illustration below compares Iowa to the national average on employee contributions for health coverage since 1999. The national numbers come from Kaiser/HRET. The two reasons above help illustrate the necessity of having Iowa employers provide input on the “value” they receive from this considerable outlay of money to our health care provider community. 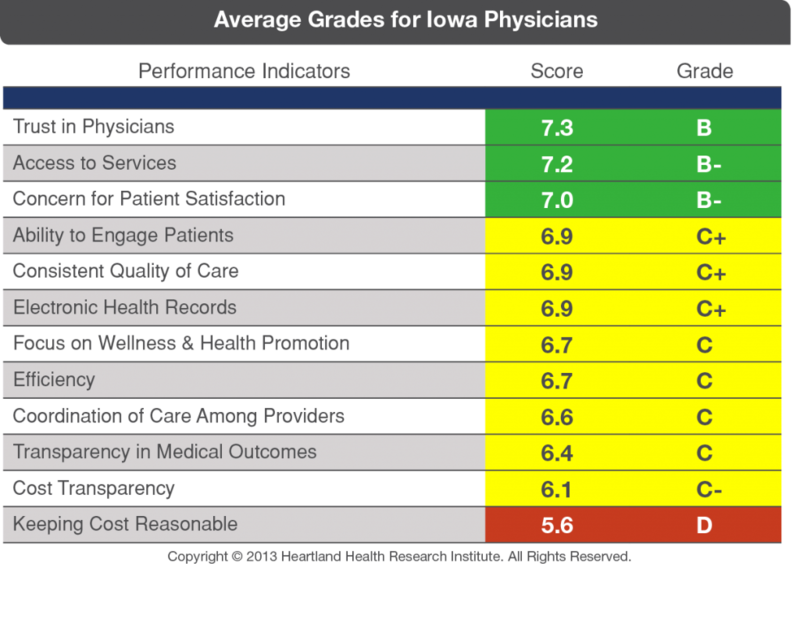 How Iowa employers perceive the performance of health care providers will cast an important light on measurement area(s) that may need improvement. Our new module of questions will help us understand just how satisfied employers are with this perennial investment. We do realize, however, that there are other external influences that must be accounted for when assessing the provider communities – such as public policy issues, insurance vendor arrangements, patient engagement, etc. Finally, employers will also be asked to provide feedback on how much they trust (or don’t trust) the medical provider community in which they operate. 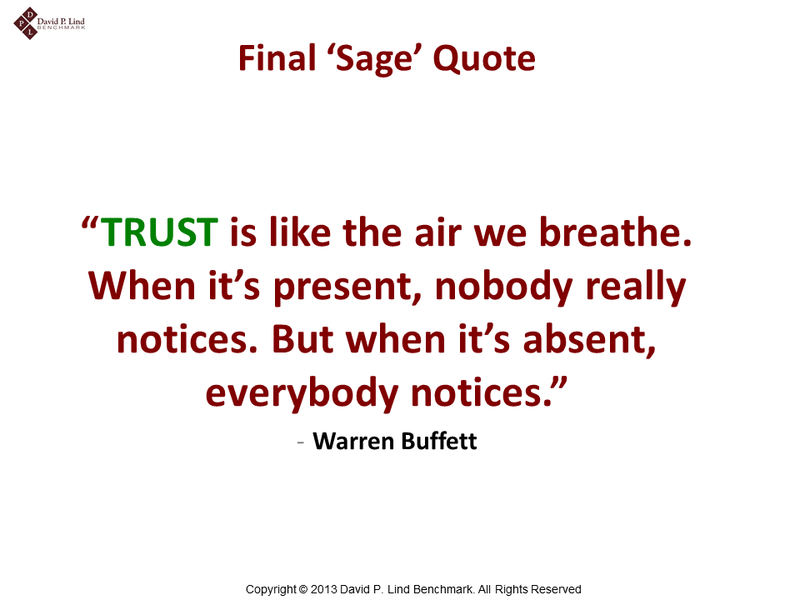 As mentioned in previous blogs, TRUST is an extremely important measurement to any industry, but absolutely critical in the health care world. The results of this important survey will be published early this Fall by our new, sister organization, Heartland Health Research Institute and will be shared with the public. Over the last few months, some major ‘events’ have developed regarding medical cost transparency issues. Now is the time to channel our collective outrage to change how we pay for health care in the future. 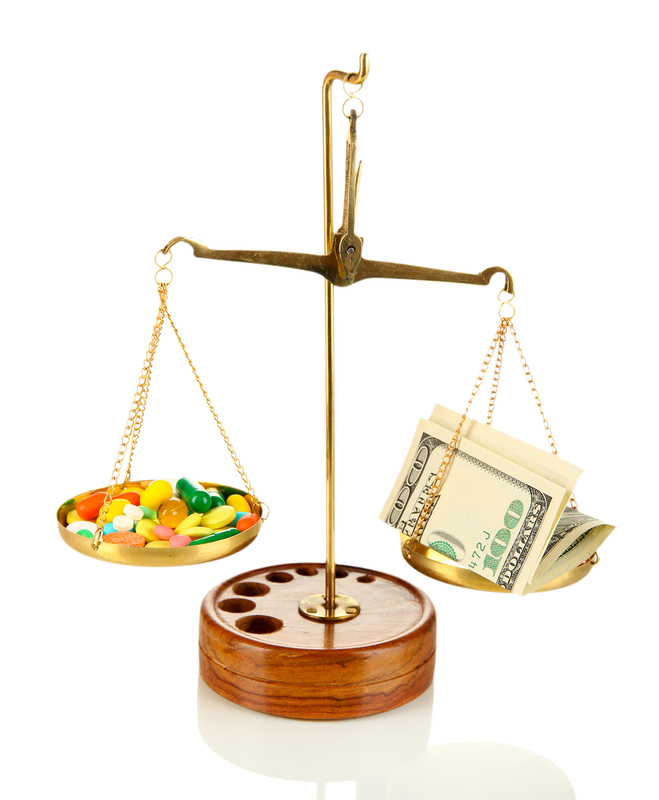 In March, Steven Brill wrote a compelling (and disturbing) article in TIME magazine, “Bitter Pill: Why Medical Bills Are Killing Us.” For the first time ever, TIME dedicated almost the entire publication to just one particular article – due mainly to the complexities baked within the hospital pricing method(s) currently in place in our country. When you have time, this is definitely worth a read. Whatever a hospital will charge for a particular service, the actual payment will vary tremendously by the payer community left with the tab – Medicare, Medicaid, private insurers, or individuals without insurance coverage, etc. Also in March, the International Federation of Health Plans released the 2012 Comparative Price Report showing just how extraordinary the costs of various health procedures are in this country versus the costs found in many other developed countries. After the Brill article, few of us need to question the validity of this particular report. The price differentials between the U.S. and all other countries are abhorrently grotesque. 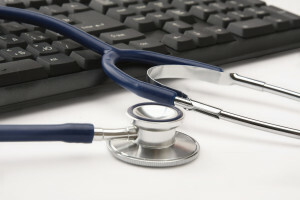 On May 8, the federal Centers for Medicare & Medicaid Services (CMS) publicly released hospital inpatient charge information from hospitals in the U.S. The data released was the first time the federal government provided this information publicly. According to the CMS website, “As part of the Obama administration’s work to make our healthcare system more affordable and accountable, data are being released that show significant variation across the country and within communities in what hospitals charge for common inpatient services.” Without question, CMS unleashed a great deal of data showing how diffused and opaque hospital charges are for inpatient services, even within our own cities! On June 3, the CMS yet again publicly released additional data on hospital outpatient charges, in addition to Medicare spending and utilization. It is quite apparent that federal officials are deliberately making health care costs more transparent for public consumption (and scrutiny). Health Datapalooza is an annual gathering in Washington D.C. that focuses on health data transparency. Now in its fourth year, Health Datapalooza has grown from about 50 attendees to more than 2,000. The idea is to have entrepreneurs take this massive data and create applications to help the public navigate through a seemingly complex world of healthcare costs. This deluge of data becoming publically available allows a greater dialogue about the transparency of health costs and its impact on those who pay the bills. A little bit of sunshine can be a great disinfectant – don’t you think? I’ve recently been visiting with healthcare providers around Iowa discussing how employers view health insurance and the value of healthcare delivered to their employees and family members. The discussion has been both open and honest. In fact, Iowa hospitals and physicians appear to be both interested and concerned with what they are learning. My presentations evolve around four key observations that I have made over the past 29 years, both as a benefits consultant (my past life) and as a researcher. The intent of sharing these observations with the provider community is to convey the ‘pain points’ experienced by Iowa organizations regarding exorbitant health care costs and to begin a new dialogue of collaborating resources to find meaningful solutions in our health care world. After all, we are all in this mammoth problem together, right? Year-after-year, employers continue to pay a handsome portion of the insurance premium. We know that take-home pay continues to erode for employees, as cost-sharing continues upward through increased payroll deductions and benefit plan alterations that include both higher deductibles and out-of-pocket maximums. This is clearly unsustainable for ALL of us. For communities to remain healthy and vibrant, employers must find solutions to this escalating problem. Observation #2 – Iowa employers continue to embrace wellness initiatives, as they desire to have a healthier and more productive workforce. Gradually we are morphing into a new social conscience of embracing healthier lifestyles – as more Iowa employers continue to assess and implement wellness efforts. We also have the Healthiest State Initiative and Blue Zones Projects™ in the news. 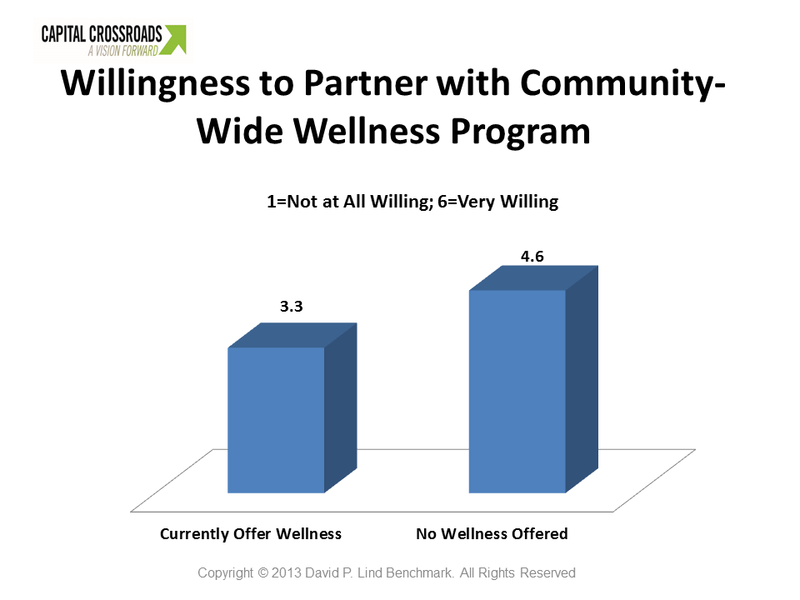 The statewide Capital Crossroads Community Wellness Study reported that Iowa employers are open to partnering with community-wide wellness programs. 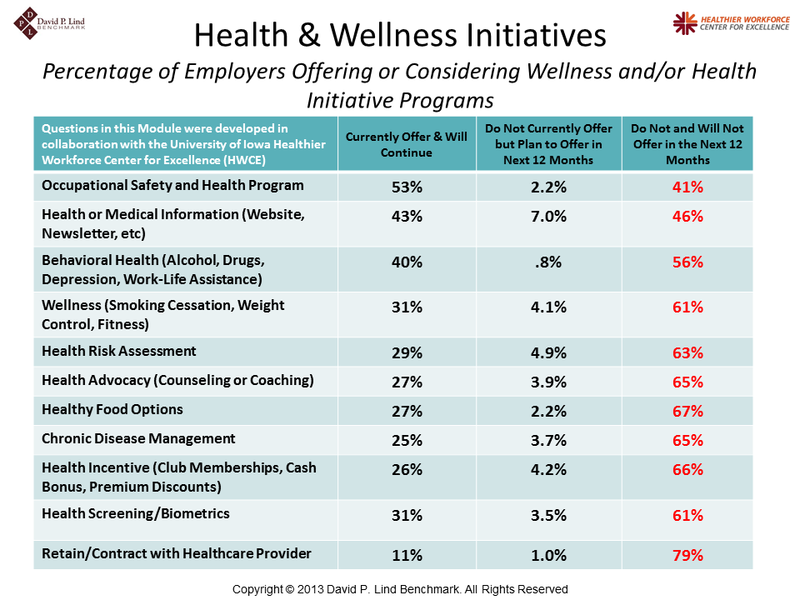 For those employers currently without wellness programs in place, only three percent feel that wellness programs don’t work! This is encouraging. Observation #3 – Lack of transparency in health care is a major concern and frustration to Iowa employers and their employees. 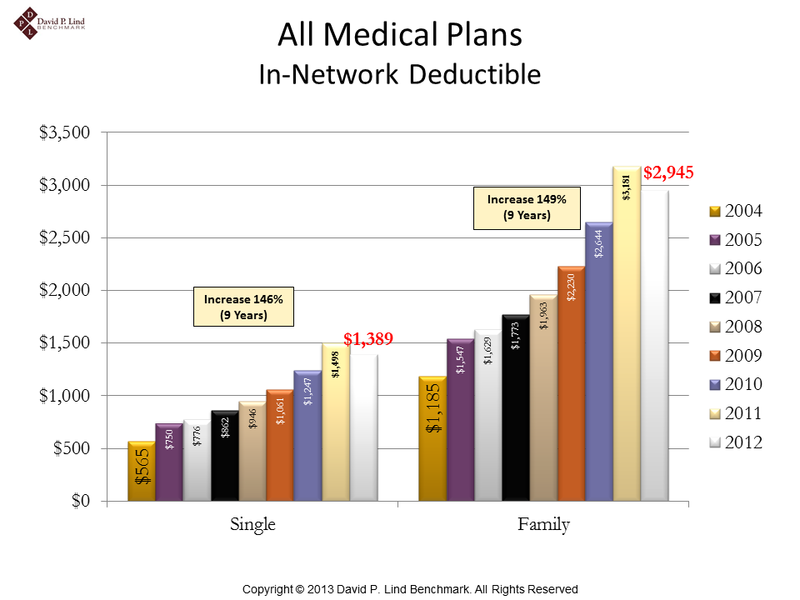 Health insurance has become a major distraction to employers. There is a growing belief that the ‘market’ approach does not work for ‘buyers’ of health care. In the next few years, will we see a gradual shift by employers to a more defined contribution approach by limiting financial support for employee premiums? Will value-based benefits begin to take hold that will nudge employees to use ‘higher value’ health providers and utilize approved medical procedures requiring less out-of-pocket exposure? Transparency of costs and outcomes are essential for the private market(s) to exist as health providers WILL definitely be held more accountable in the future. Observation #4 – Health reform is viewed with great skepticism by Iowa employers. 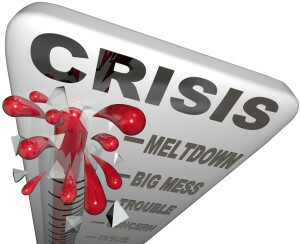 The Accountable Care Act (ACA) will not solve the cost issue for employers and their employees. In fact, the ACA adds greater complexity in the insurance markets, forcing employers to search for opportunities that will relieve tensions and uncertainties. A ‘Provider Renaissance’ is sorely needed to deliver great value for the insurance premium being paid. So what does all of this mean to the healthcare provider community? UNDERSTAND the employer perspective, which is the need to be competitive by having a healthy workforce. Health providers must have the employers’ best interest in mind. 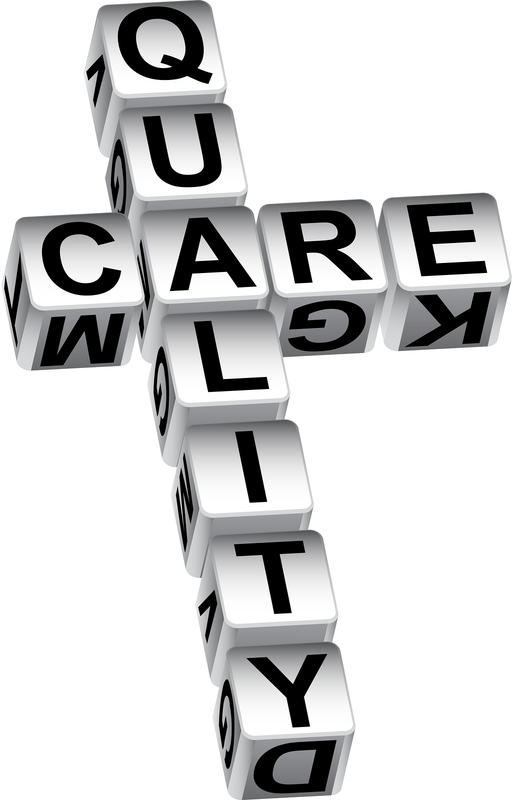 CONSISTENTLY provide quality outcomes at reasonable costs – i.e. receive greater value for the dollar paid. COMMIT to do these critical things on an on-going basis – long term. As mentioned in a prior blog, our fragmented delivery system is really not a “system,” but rather a concoction of multiple temporary or expedient remedies that attempt to solve our problems as we confront our health care needs. No one is at fault, yet we ALL are. Now is the time for employers and the healthcare provider community to work together – starting with a meaningful and trusting dialogue that will result in concrete solutions. 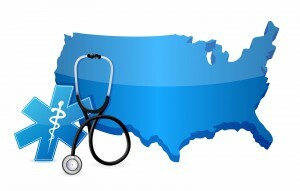 Expansion of Medicaid – What REALLY Matters? A new randomized and controlled clinical trial provides fascinating information for Iowa (and other states) to review while policymakers consider whether or not to expand Medicaid. I highly encourage you to read this study, as it helps frame the real issues we must focus on as a state and country. Published in The New England Journal of Medicine, ‘The Oregon Experiment – Effects of Medicaid on Clinical Outcomes,’ study reviews the potential effects of expanding Medicaid to impact healthy outcomes when health coverage becomes available to low-income adults. As you have correctly guessed, the petri dish for this experiment was the state of Oregon. When expanding Medicaid for the poor, the primary benefits can be lower depression rates, greater health-care utilization and the elimination of catastrophic medical expenses for those who acquire the insurance. According to the study’s primary author, Katherine Baicker, a Harvard health economics professor, “The purpose of insurance is not to just get you access to healthcare, it’s to protect you from financial ruin if you have an expensive condition.” Dr. Baicker was one of many speakers at Harvard’s “Forces of Change” series on healthcare that I attended in Boston a few years back…she is a wickedly smart and a concise researcher. In Iowa, a great debate has erupted (mostly along partisan lines) about whether to expand Medicaid or pursue a new but untested plan offered by Governor Branstad. Both approaches have supporters and critics for a number of reasons – arguments founded on facts, emotion and, you guessed it, politics. I don’t pretend to have the answer. However, the Oregon Experiment does give additional insight on the implications for any legislative activity enacted in this state. It is common knowledge that having insurance coverage allows us to seek medical care that will make us healthier and more productive…and we won’t go bankrupt. We also know that having insurance provides each of us a peace of mind, it certainly does for me. Finally, having insurance improves access to healthcare providers and services. Enough said, right? Not so fast – after learning of this new study, we may need to reassess this logic and maybe qualify it a bit more. The study findings consistently support the importance of delivering QUALITY health care to our population. To borrow a quote from Dr. Ashish Jha, another wickedly smart physician and researcher at Harvard, “The explanation is simple. It’s not about access to healthcare; it’s about access to high quality healthcare.” Baicker’s recent study certainly supports Dr. Jha’s conclusions. We cannot expect to have a healthier population by merely providing insurance to gain access to necessary care. In fact, there is evidence that shows doctors who spend a great deal of their time serving Medicaid recipients deliver lower-quality care. Insurance will unlock the door to gaining access to care, but having this access does not ensure we receive quality care that will improve our health. The Affordable Care Act (ACA) attempts to improve access to care for those least fortunate in our society – and most everyone agrees that this is important. However, the ACA does little to control spiraling costs and improve the quality of care being delivered. By adding more insureds into an already dysfunctional, high-cost ‘system,’ will only make our health costs considerably greater and even more uncontrollable over time. It’s like rearranging the chairs on the Titanic. It is time to make sure this healthcare ship is traveling in the right direction. It’s what we all should demand…it’s what we all deserve! This will be the 15th Study conducted since we started this particular survey in 1999. 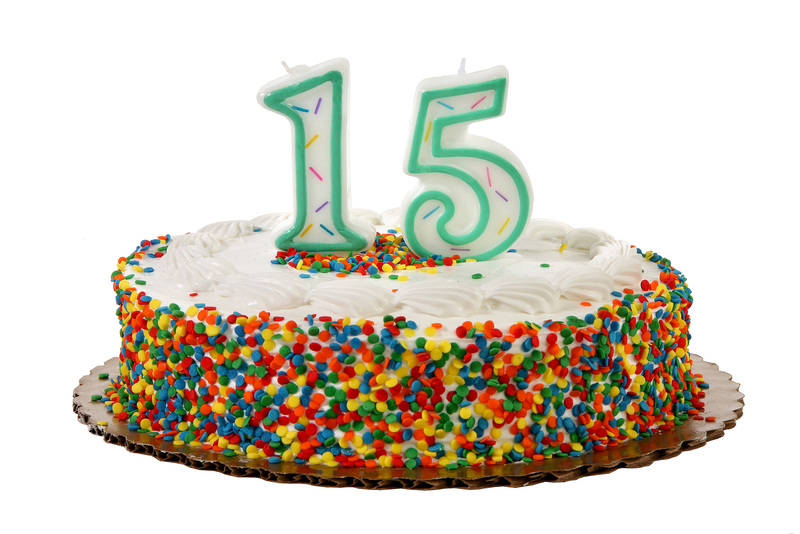 Some ‘birthdates’ are celebrated with more meaning than others…and 15 is a significant amount of time to show trending patterns and establish a credible track record! Three new modules of questions will be added in this year’s Study. 1. The first module will gauge whether employers will keep their health plans (this would apply to those employers with 50+ employees). In addition, we will determine how prepared employers are regarding health reform requirements. This module is extremely relevant because employers will be making decisions for 2014, the first year most health reform provisions will take effect. 2. The second new module will be added that will determine how Iowa employers view their local community health care providers – specifically hospitals and physicians. Modules two and three will begin to address the upstream portion of ‘Our Health Care River.’ Our newly established company, Heartland Health Research Institute, will then begin to tackle the implications of the results from these two modules. 3. The third module will address the type of data needed by employers to manage employee health costs. It will help identify who should have the responsibility to supply the primary source of this data to employers and their employees (i.e. health insurers, government or health providers – such as hospitals or physicians.) In addition, we will learn how knowledgeable employers are regarding the Iowa-based web resources currently available on our Iowa hospitals. Rest assured, we will continue to ask our core questions about the benefit components being offered by Iowa employers. After all, this is the initial reason we began this groundbreaking Study 15 years ago. One thing I have learned over the years of conducting this Study is the importance of constantly monitoring the marketplace — asking fresh questions and addressing new and potential trends. If your organization is randomly selected to participate in this year’s Study, we highly encourage you to share in our celebration by participating in the survey. Here’s to adding the 15th candle to our cake!